Are you in Galveston? Were you injured in a Marine or Maritime accident? Give Carabin Shaw a call. We can help. Call us at 800-862-1260. 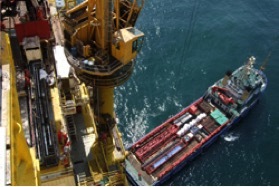 Have you gotten hurt while working on a drill barge, offshore rig, tanker or other similar vessel? Did your employer refuse to pay for or delay your medical treatment? Did your employer refuse to reimburse you for expenses related to your work injury? Was your accident created or caused by someone else? Since your opposition already has legal representation, shouldn’t you? It’s time for you to get to use a level playing field. Accidents aboard ships and vessels occur almost every single day. Hazards come up when vessels are not maintained properly, defective equipment gets used and machinery simply malfunctions. For a seaman, each and every day on the job is a day of risk. For this and other reasons, certain specific laws were enacted to protect maritime workers and seamen. It doesn’t matter if you work on a tugboat, ship or freighter – there are admiralty laws that are designed to protect you and compensate your loved ones if needed. If you have gotten hurt while working either because of a dangerous condition or negligence by your employer, you have an immediate need to know what your rights actually are. Any claim for damages exists with a filing deadline looming over it so it is vital that you get an attorney as immediately as possible after any work related injury. Imagine your horror if you discovered that you were legally entitled to many thousands of dollars in compensatory damages, but that you filed a lawsuit to protect your right to collect for the claim after the deadline. Your own success in your own case depends on your own swift action. With the various types of marine, maritime and admiralty law, it can be quite confusing trying to even figure out which one or ones apply to you in your specific situation. An experienced maritime injury attorney, such as those at Carabin Shaw, can help. A working seaman has many legal rights provided by the Jones Act, a Federal Statute, and such a person should contact an admiralty injury attorney immediately if they get hurt on the job. If you are a “Jones Act” seaman” then there is a type of what is commonly known as “workers compensation” available to you. This is called “Maintenance and Cure.” “Maintenance and cure” provides for medical benefits and weekly wages. An experienced admiralty injury lawyer should be able to tell you whether the amount of maintenance and cure that you are getting is fair. As an oil platform or offshore rig worker, you are also protected by the Jones Act and by what is known as “General Maritime Law.” Even if you have gotten hurt while you were working on a jack up rig, an inland drilling barge, or other non-offshore drilling ship, you still may be entitled to your full compensation. An injured crewman who works on a freighter, tanker or ship has many legal rights under what is known as “General Maritime Law.” Carabin Shaw, located right here in Texas, has helped many hundreds of marine workers get large dollar settlements to compensate them for their injuries.